By now, I understand why people say wedding planning is a “full-time job.” My goodness… so many details! So many meetings! So many decisions! Things are really ramping up as we inch closer and closer to June, and it’s starting to feel like the to-do list will never be complete. Any fellow future-brides out there relate? Even though it’s been so busy, I can genuinely say I have loved this process. And one of my favorite parts to date? Selecting our table setting! Before even heading to a store to look at china, my mom and I talked a ton about these wants. The biggest thing I took away was her experience. She, for example, has a set of beautiful fine china that she never uses. In fact… I don’t ever remember dining on it! Even though it’s lovely, it never made practical sense for entertaining since it’s so delicate and can’t be put in the dishwasher. Growing up, we would use her everyday china, and then holiday china for Thanksgiving and Christmas. Her experience, coupled with the fact that Andrew and I will be moving at least a few times in the coming years for his training, solidified my desire to register for one set of beautiful china I could use every single day, as opposed to a fine china I would have to worry about moving/breaking, and an everyday set on top of that. When I finally walked into Ivy House (one of the local Dallas stores I’m registered at) to start playing with different options, a row of beautiful white plates with stunning, light blue monograms immediately caught my eye. 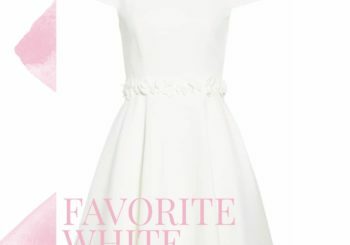 The pretty, white style. The lovely, soft monogram. It felt so me! I soon learned it was Sasha Nicholas, a line of beautiful monogrammed china! I about died when I learned that not only are there many different stunning monograms to choose from, but you can actually send in your own custom monogram to be used on the pieces! And since I want to use me and Andrew’s custom wedding monogram absolutely everywhere, it was a no-brainer. Best of all… the white weave design I loved so much is machine washable! Needless to say, I immediately fell in love. First, a set of Sasha Nicholas weave dinner plates, salad plates and soup bowls I can use every day. 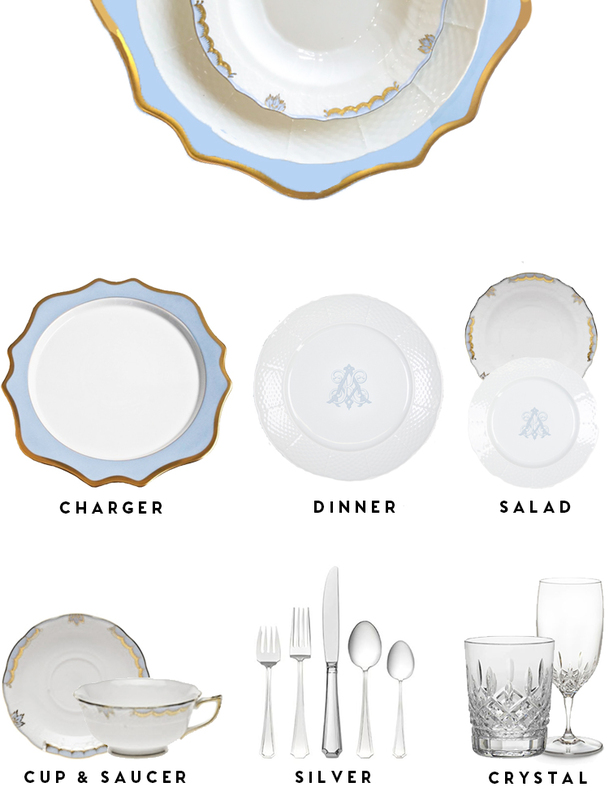 Then, when Andrew and I want to formally entertain, setting the monogrammed dinner plate with a gorgeous Anna Weatherley “Anna’s Palette” charger and Herend “Princess Victoria” salad plate! We also selected some lovely Waterford crystal in the pattern “Lismore,” and Gorham silver in the pattern “Fairfax.” I love how elegant, simple and stately those pieces look! I am absolutely obsessed with the end result, and am so excited for beautiful pieces I can use both every day and when entertaining in a more formal setting! It makes me giddy to think about all of the casual dinners Andrew and I will enjoy using these pieces, and the future formal occasions we’ll employ them as well! If you hadn’t heard of Sasha Nicholas, like myself, you must check out her entire line here. She recently introduced a gold monogram option, and it’s just divine. Andrew and I are also registered for a few other of her monogrammed pieces including this monogrammed champagne bucket and this monogrammed serving platter. There are so many other beautiful things, I could spend all day looking at them! This post is actually perfectly timed, since I have my very first wedding shower tonight! It’s a ladies entertaining shower, and I absolutely cannot wait to celebrate with my girlfriends and women from both sides of me and Andrew’s families. I’m also just a wee bit excited about what I’m wearing… this number! You are going to have such a beautiful table Kate! I’m a huge pattern mixer and this is a stunning combination. I let out an audible shout for joy when I saw that you had picked Lismore as your crystal pattern. Ours has gotten so much love over the years. My niece who is your age fell in love with it too and so for her wedding we gifted our set to her. I couldn’t bear to part with all of the beautiful pieces we received so we kept some of the accessories but passed down the water and wine goblets to the next generation of Lismore lovers in our family. We opted not to register for china either because I am lucky enough to have at least one set that I will inherit (being the only granddaughter often has its perks hehe!). Instead we picked an “every day” set in a solid light blue tone, and then a simple white set for more formal occasions. I have to admit… I look at least once a week to see if anything from our registry has been purchased – I just can’t wait to set our table and have a party! 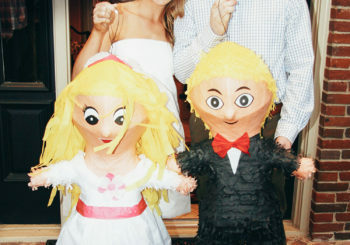 As always love each and every wedding post! I’m from the north east and my family has always had multiple showers for weddings. Some of my girlfriends would rather just one. Can you do a post about the showers you are having and if they have a specific theme? Have a lovely time tonight! Hi Kate, I loved seeing you in dance class today. I can’t believe you chose Sasha Nichols China. My daughter, Candi, did the Sasha in pink and gold for her china. Yay! So pretty! My wedding was last month and I registered for SN and Herend princess Victoria too! I recommend registering for Christmas salad plates – then you can add a touch of holiday without the whole set!